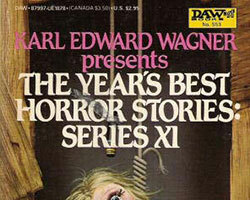 Acrylic on Illustration Board - 30" x 15"
Another Whelan cover for THE YEAR'S BEST HORROR STORIES. When this image comes up in one of Michael's slide shows, there are audible rustlings in the audience. 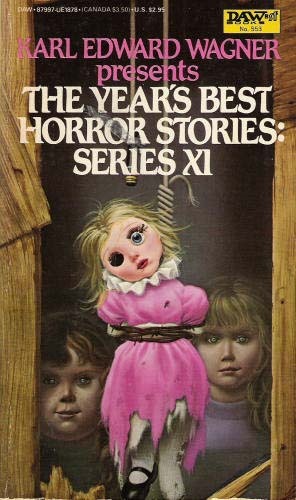 Is it the life-sized fly on the doll's empty eye socket or the demented stares on the girls' faces as they peer out of the darkness? That unsettling unease is what good horror paintings are all about.